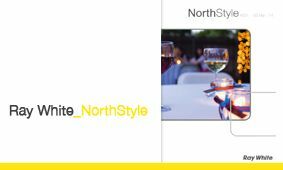 We would like to introduce you to our latest edition of our new NorthStyle eMagazine which is a combination of other Ray White offices on the Lower, Mid & Upper North Shore. NorthStyle is made to make your house hunting as smooth as possible, with the magazine being sorted alphabetically so you can easily move to your suburb of choice & if you find a property that you like, just click on the page and it will redirect you to further information on the property – it is that simple! © Ray White Hornsby. Based in Hornsby.